Educational Qualification: Bachelor of Arts or Bachelor of Science or equivalent thereto from a recognized university. Selection Process: Selection will be based on Written Test & Computer Proficiency test. Application Fee: Candidate has to pay Rs. 1000/- for General, Reserved Category of other State for Male candidates, Rs. 500/- for General, Reserved Category of other State for Female candidates, Rs. 250/- for SC/ ST/ BC/ ESM of State of Haryana for Male candidates, Rs. 125/- for SC/ ST/ BC/ ESM of State of Haryana for Female candidates through Challan. 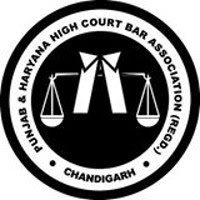 How to Apply for High Court Chandigarh: Interested candidate may apply online through website http://www.sssc.gov.in from 04.09.2017 to 03.10.2017 (step-I) & 06.10.2017 (step-II) till 11.59 P.M. thereafter website link will be disabled.